Picturing Disney: Win Vintage Orange Bird Collectible Toys!!! Use the rafflecopter below to enter to win (entries are for following Picturing Disney around the web) and you could be the happy owner of two happy little vintage toys! 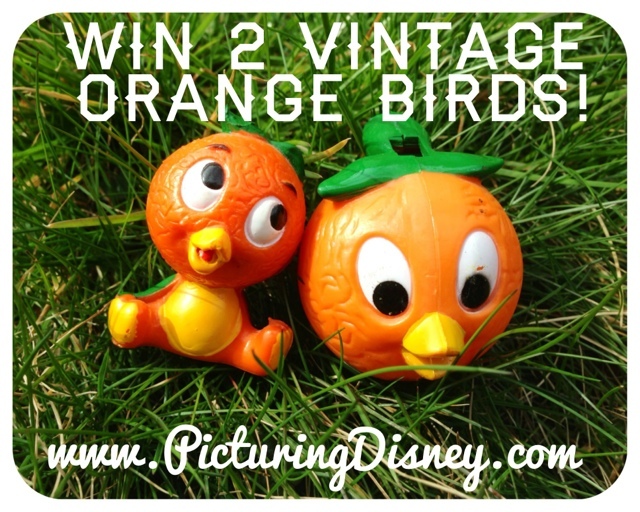 Both from 1971 a small PVC figure of a sitting Orange Bird and a plastic whistle! I have a set in my collection and love them much! I'm a huge Orange Bird fan since childhood, and was also disappointed in the lack of new merchandise in Adventureland. I would be so happy if they came out with more :-) These are wonderful! I hope I win!